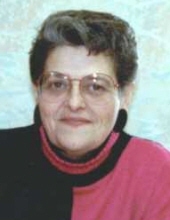 Diane Baughman, age 73, of Cameron, Illinois, went to her heavenly home on January 29, 2019. Diane was born on July, 9, 1945, in Peoria, Illinois, the daughter of Russell and Blanche Utzinger. Diane attended and was a graduate of Warren High School. She married John A. Baughman on January 30, 1981 in Cameron, Illinois and he survives her. Diane worked as a supervisor at Protexall, and retired from Maytag as a supervisor. Later she worked for the Post Office in Cameron and Cameron Christian Church. Diane was currently the secretary of the Cameron Drainage District and Floyd Township. Diane was a gold star member of Ralph M. Noble Post 285 American Legion Auxiliary of Galesburg, Illinois. Diane is survived by her husband of 37 years, John Baughman, two sons, Mason and Shannon (Sarah), two grandchildren, Kaylie and Izzy, and two sisters, Phillis (Otho) Miller and Tamarra Quinn. She is also survived by nieces, nephews, great nieces, and cousins of which she loved dearly. Diane is preceded in death by her parents, one son, James, one brother, Bernard, and two sisters, Marguerite and Joan. A Celebration of Life is planned for 11:00 AM on Saturday, April 6, 2019 at Cameron Christian Church in Cameron, Illinois. After the service, the family will be present until 2:00 PM for a time of remembrance. A memorial fund is being established for the Cameron Christian Church. To send flowers or a remembrance gift to the family of Diane E. Baughman, please visit our Tribute Store. "Email Address" would like to share the life celebration of Diane E. Baughman. Click on the "link" to go to share a favorite memory or leave a condolence message for the family.